In 1877 prison authorities calledon Francis Galton with a pressing question. Could it be the case that certain types of crimes correlated with particular facial characteristics? They presented him with a large number of photos of delinquents and Galton set out to arrange them in an effort to find natural classes of faces connected with crimes like murder, fraud and forgery. The request led to a wonderful invention: by superimposing photographs Galton produced what he called a ‘pictorial average’ of their faces (Galton, 1879). The first demonstration of composite portraiture caused a flurry of applications. Its use as a method for identifying typical murderers’ or fraudsters’ faces, though, was ill-fated. The individual faces were villainous enough, Galton reported, but they were villainous in too many different ways. As an instrument in criminal anthropology, ‘pictorial statistics’ was a failure. But Galton did notice the potential of his technique as an analogy for the way the human brain generalises from individual sense impressions to more abstract, ‘generic images’. By watching a series of individual dogs, he argued, we let their similarities blend into a prototypical dog. What is peculiar to only a couple of dogs will have disappeared from our composite representation of dogs in general. Viennese paediatrician Hans Asperger (1906–1980) never mentioned composite photography. He was raised in an entirely different scientific tradition, infused with Gestalt psychology. Yet, his account of the way a diagnostician intuitively learns to classify and label his patients is curiously reminiscent of Galton’s prototypes emerging from individual impressions. This was especially true of the category of what Asperger called ‘autistic psychopathy’ – today’s Asperger’s syndrome. Cumulating experience with clinical observation, he wrote, allows one to recognise the disorder at first glance, even before the child begins to speak (Asperger, 1944). An accomplished diagnostician discards the particular and accidental, and sees the Gestalt of the condition. Empirical research on the development of prototypes, stereotypes and exemplars has bolstered much of what Galton and Asperger hypothesised. But modern studies of categorisation have gone beyond perceptual processes and diagnostic practices. Generalised representations and stereotypes are shown to reign in many domains, often implicitly; they steer the way we think about gender, age, class, ethnicity, sexual orientation, politics – and autism. and then finishes off with: ‘and none of them are autistic.’ Only if these last few words held no surprise at all to you, you may consider yourself to be free from stereotypical views on autism, or, more probably, you have never cared much for the literature on autism. Thinking in stereotypes has a moral connotation to it. We don’t like to be caught at it. It is associated with sloppy thinking, prejudice, intellectual laziness. At the same time, the combination of computer science and eccentricities almost irresistibly conjures up the image of an intensely nerdy, socially odd person, arguably one of the most forceful present-day stereotypes of autism. It is an image fed by CSI-like TV series, novels, talk shows, documentaries, movies like Mozart and the Whale (2005) or Snow Cake (2006), autobiographies such as those by Daniel Tammet and Temple Grandin, public controversies like the one on computer hacker Gary McKinnon, and a host of other stages where autistics, real or fictionalised, have made their appearance. At this point one may ask whether we shouldn’t draw a few lines. After all, autism is a psychiatric category. Shouldn’t we leave matters of diagnosis and categorisation to specialists? Surely they have the tests and the protocols, the lists and criteria to help them do the job? What script writers and novelists choose to write on autistics is their responsibility. It may have an effect on the perception of autism by a lay audience, but still these are – or should be – separate spheres. This division doesn’t work, neither in practice, nor in principle (Draaisma, 2010). Movies featuring an autistic protagonist are more often than not informed by specialist advice from psychiatrists. Actors spend time with autistic persons to present a truthful rendition of autistic behaviour. Novels may be equally supported by specialised knowledge. Christopher, the young autistic protagonist of Mark Haddon’s The Curious Incident of the Dog in the Night-time, had to take a test. His teacher holds a tube of Smarties and asks him what he thinks is inside. ‘Smarties’, Christopher says. Then she pulls out a small red pencil, puts it back in and says: ‘If your mummy came in now and we asked her what was inside the Smarties tube, what do you think she would say?’ ‘A pencil’, Christopher says (Haddon, 2003). This scene actually came from a guide for people who work with autistic children (Howlin et al., 1999). Another case in point are the self-presentations of ‘Aspies’ on YouTube. There are literally thousands of these. What can’t fail to impress the viewer is the degree to which these monologues are impregnated with the central concepts of modern research on autism. Aspies discuss – and often contest – their purported lack of empathy, their problems with establishing central coherence, their sensitivity to sensory overload, their ‘male brain’ and the tendency to systemise that comes with it, their limited capacity for mind reading or their inability to handle false beliefs, figurative speech, innuendos and jokes. In some presentations it seems as if a psychiatrist is discussing one of his patients with a colleague. Self-descriptions such as these are part of what philosopher Ian Hacking has called the ‘looping effect’, the intricate interaction between the label and the understanding of the person so labelled (Hacking, 2007). But by these very same self-presentations, Aspies also define themselves as a counter culture. They emphasise the productivity and benefits of some of their limitations. Single mindedness can be translated as a sense of focus and dedication. Lack of talent for small talk comes with straightforwardness. A heightened capacity for systemising allows one to handle complex data sets. Restrictions in one area allow for expansion elsewhere. Most Aspies feel that the stereotype of Asperger’s syndrome as a set of pathological limitations is misleading, perhaps to the point where it is wrong to call it a ‘condition’ at all. Watching 20 or 30 of these self-presentations suffices to experience the emergence of a radically different stereotype, one that features compensatory talents and capacities, an image that is fit to figure on an agenda of emancipation. Well into the 1980s it was the specialists – paediatricians, psychiatrists, clinical psychologists – who shaped the public image of autism. Today, the general understanding of autism is shaped from many different sides, such as education, literature, film and news media. With it came a proliferation of stereotypes, even to the point where one may ask just how much variation is compatible with the very idea of a stereotype. How much diversity can stereotypes assimilate before it becomes meaningless to think of them as stereotypes at all? And even if one evades the naive question which of these stereotypes are ‘true’, one may still wonder why it is that some stereotypes are felt to be convincing while others seem unlikely and far-fetched. Part of the answer, no doubt, is that fictionalised autistic persons in movies or novels are there for particular reasons. Stuart Murray analysed a series of movies featuring autism and demonstrated that it is mostly the savantism – having computers for brains or possessing supernatural pattern-recognition skills – that drives the plot (Murray, 2008). Autistic persons in movies are often extremely gifted in some arcane domain. In actual fact, savantism is extremely rare, also among autistics. When they make their appearance in novels, autistics likewise serve circumscribed narrative goals. Don Tillman, in The Rosie Project, is an autistic geneticist who has had several unsuccessful dates and now decides that the best solution to his ‘Wife Problem’ would be to devise a questionnaire to narrow down the number of plausible candidates (Simsion, 2013). Following Don on his erratic course, the reader gets a fresh appreciation of just how subtle the do’s and don’ts of budding relationships are. The novel is really about the complexity of love and romance. 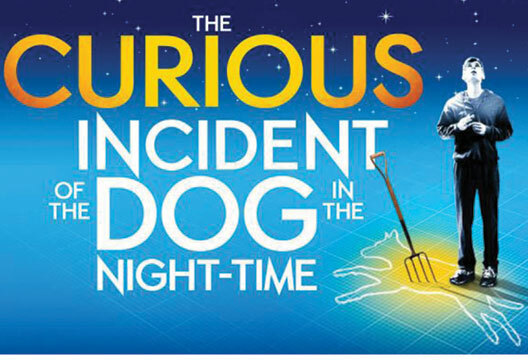 A comparable lesson teaches Christopher in The Curious Incident. He dislikes lies and fantasies because his reality is complicated enough as it is. But most of the other characters lie to him, if that suits them better. Again, the boy’s inability to handle alternative versions of reality serves to contrast autistic sincerity with ‘normal’ dishonesty. Both Christopher and Don succeed in their pursuits: solving a murder mystery and finding a wife. In both cases it is a victory against all odds, of challenges overcome. In the process they have become endearing to the reader. But for many real-life autistics, entering romantic relationships is a thorny project that easily ends in failure and sometimes in a life of loneliness and isolation. This is not to say that the Don Tillman character is ‘wrong’, rather that, sadly, Don’s success is not very representative of what most autistic individuals experience in their own lives. Burks-Abbott (2008) pointed out that there are dozens of books on autism written by autistic authors, but that lay audiences still prefer fictionalised accounts of autism over non-fiction accounts. He hints at the possibility that the stereotypes set up by novels and movies may eclipse those of psychiatrists and other experts. This is not unlikely at all. Both The Curious Incident… and The Rosie Project were bestsellers. Their account of the autistic experience must have been a major force in shaping lay understandings of autism. In a later publication on the analogy of compound photography, Galton addressed the objection that generalisations are not so much determined by the number of components, but rather by the impression they make. He conceded that the same thing happened if one of the individual portraits had sharp contours, determining a disproportionate part of the composite portrait. It was easily solved: he threw the sharp portrait a little out of focus, thus quietly correcting its biasing influence on the pictorial average. This, sadly, can’t be done with the kind of stereotypes that emerge in society. And perhaps it isn’t necessary. Rather than trying to expel stereotypes or asking which ones are ‘true’, we should be aware of their origin, the forces that shape them and the agendas they’re on. Asperger, H. (1944). Die ‘autistische Psychopathen’ im Kindesalter. Archiv für Psychiatrie und Nervenkrankheiten, 117, 76–136. Burks-Abbott, G. (2008). Mark Haddon’s popularity and other curious incidents in my life as an autistic. In M. Osteen (Ed.) Autism and representation (pp.289–296). New York/London: Taylor & Francis. Draaisma, D. (2010). Stereotypes of autism. In F. Happé & U. Frith (Eds.) Autism and talent (pp.209–217). Oxford: Oxford University Press. Galton, F. (1879). On generic images. Proceedings of the Royal Institution, 9, 161–170. Hacking, I. (2007). Kinds of people: Moving targets. Proceedings of the British Academy, 151, 285–318. Howlin, P., Baron-Cohen, S. & Hadwin, J. (1999). Teaching children with autism to mind-read. Chichester: Wiley. Murray, S. (2008). Representing autism: Culture, narrative, fascination. Liverpool: Liverpool University Press. Simsion, G. (2013). The Rosie Project. London: Michael Joseph.